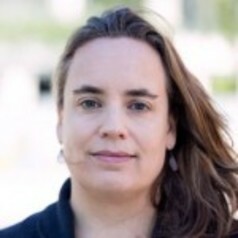 Molly Dragiewicz is Associate Professor in the School of Justice, Faculty of Law at Queensland University of Technology in Brisbane, Australia. She launched QUT’s first domestic violence elective unit in 2015 and developed and serves as Course Coordinator for the Graduate Certificate in Domestic Violence since 2016. Dragiewicz is author of Abusive endings: Separation and divorce violence against women (2017), with Walter DeKeseredy and Martin Schwartz Equality with a vengeance: Men’s rights groups, battered women, and antifeminist backlash (2011), editor of Global human trafficking: Critical issues and contexts (2015), and co-editor of The Routledge handbook of critical criminology (2012), The Routledge handbook of critical criminology 2nd edition (2018), and The Routledge major works collection: Critical criminology (2014) with Walter DeKeseredy. Dragiewicz received the Robert Jerin Book of the Year Award for Abusive endings: Separation and divorce violence against women. American Society of Criminology, Division on Victimology, the Critical Criminologist of the Year Award from the American Society of Criminology Division on Critical Criminology in 2012 and the New Scholar Award from the American Society of Criminology Division on Women and Crime in 2009, and the QUT Vice Chancellor’s Performance Award in 2016.